Fractora Forma Skin Tightening Laser Treatment is one of the newest, most advanced, and most effective techniques for tightening and lifting skin. 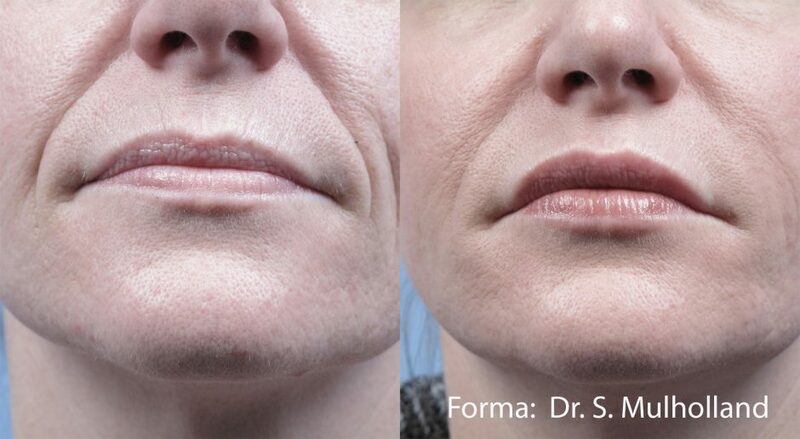 Often referred to as a “Red Carpet Mini-FaceLift,” a Forma treatment is known for it’s ability to deliver an immediate revived and naturally lifted appearance without any downtime. The Forma and Plus Skin Tightening devices are radio-frequency skin rejuvenation treatments that heat the sub dermal layers to promote collagen in the skin to remodel, rejuvenate and tighten the skin. Forma can immediately tighten your skin and improve your skin tone. It will leave your skin looking and feeling more youthful, tighter, and radiant. While this can be done anywhere on the face, neck or body. Forma is incredibly effective on crow’s feet, under eye bags, saggy eyelids, fine lines around the nose, mouth, forehead and jawline. How Does Fractora Forma Skin Tightening Laser Treatment Work? By harnessing the power of Radio-Frequency (RF) energy, at one million pulses per second, Forma penetrates deep into the skin to heat underlying tissue. The deep heat tightens tissue and skin structure, and simultaneously stimulates natural collagen production to increase skin elasticity. Acquire: Forma has multiple sensors that are programmed with smart software to instantaneously read skin temperature 1000 times per second. The temperature readings allow the physician to constantly monitor skin temperature so that power output can be quickly adjusted for maximum effectiveness and comfort. Control: Forma combines the sensor information with the physician’s pre-programmed guidelines to precisely control the course of treatment and make instant adjustments to its healing energy from moment to moment. Extend: Clinical research has shown that only a very precise temperature range provides the best aesthetic treatment outcome. Forma constantly calibrates and recalibrates itself to maximize your skin’s exposure to the most specific and effective temperatures. Effective alternative to face and neck lifting. A loss of collagen and elastin in the dermis creates lines, wrinkles and sagging skin, which are some of the most obvious signs of age. The Firm tool can be used to treat sagging skin on the entire face or neck, or can be used to target loose skin in particular trouble spots such as the forehead, eyelids, crow’s feet, laugh lines and jowls. It can also be done on areas of the body such as the abdomen, thighs, buttocks and arms. This is a painless procedure. Numbing cream isn’t necessary. It is recommended that eight weekly sessions are performed for optimal results. The recommended numbers of treatments also depend on the degree of laxity, which may require additional treatments. Medical grade facial is strongly recommended prior to receiving a series of Forma treatments. After each session there will be some slight redness in the treated area, which subsides within a few hours. 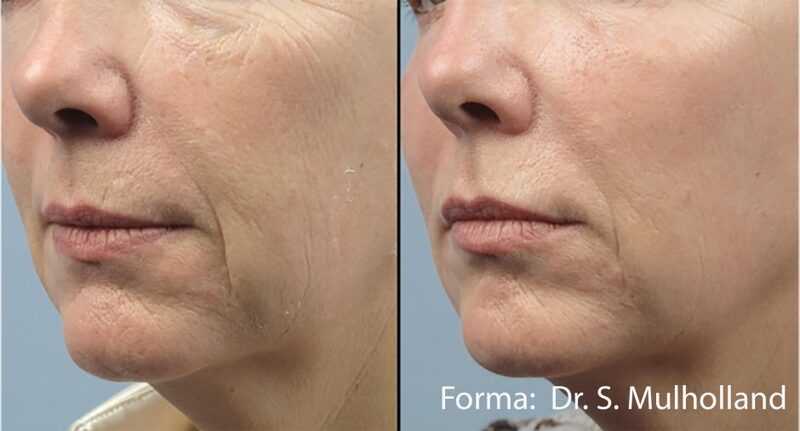 Fractora Forma Skin Tightening laser treatments are available at Northwest Aesthetics Bellevue and Kent, WA locations.